This mushroom is a beautiful rainbow of coral and magenta. It is one of the prettiest mushrooms. It causes nightmarish diarrhea and vomiting. This is reflected in its scientific name of Rubroboletus satanas, which translates as the Devil’s Bolete. 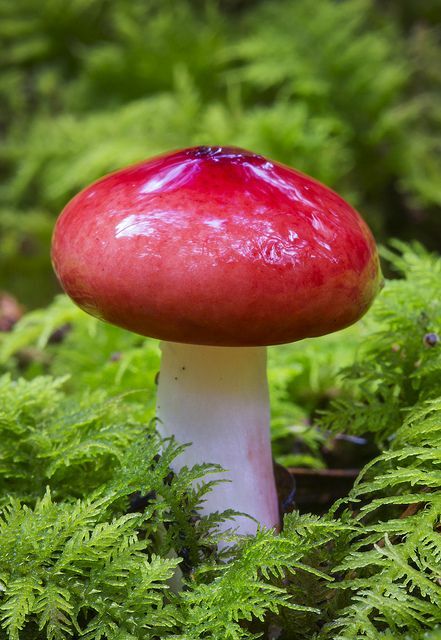 This striking red-capped mushroom is the Russula emetica or the Vomiting Russula. This beautiful, white mushroom looks like the soul of every Disney princess — it is called the Destroying Angel (Amanita virosa). It causes your liver and kidneys to shut down. 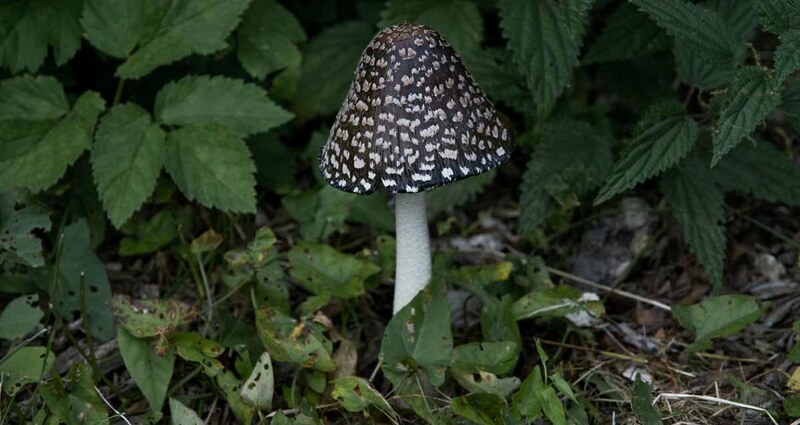 It is a member of the Amanita family. Almost all of the Amanita kill you, except for that one which makes you hallucinate. 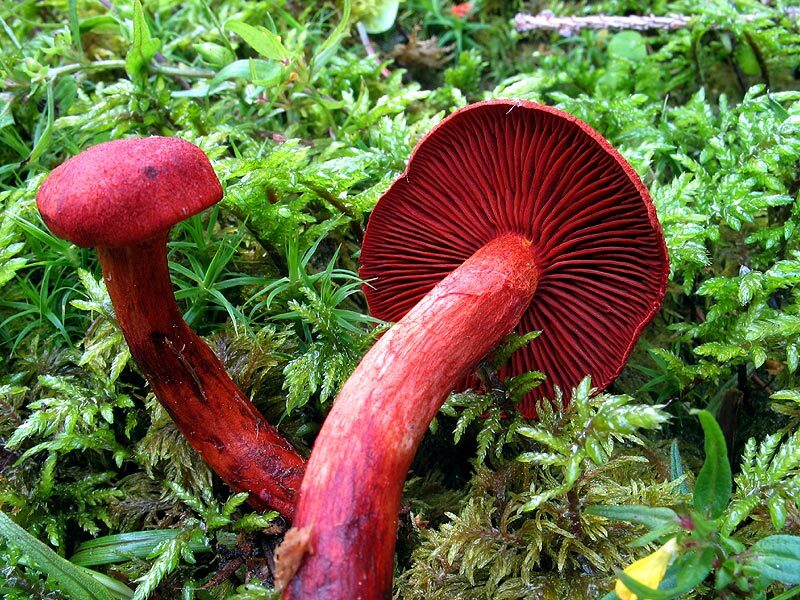 This red mushroom is Cortinarius sanguineus, or according to Wikipedia, the “blood red redcap,” which seems an excessive use of adjectives that are or approximate red. That makes me think about how Manos: The hands of Fate tautologically means Hands: The Hands of Fate, and how the people with the power to name things are generally the worst at it. This grey and white mushroom is the Magpie Inkcap (Coprinopsis picacea). It looks like a black and white movie happening inside a color movie. It is merely inedible, which means it “causes gastrointestinal upset” but doesn’t kill you. 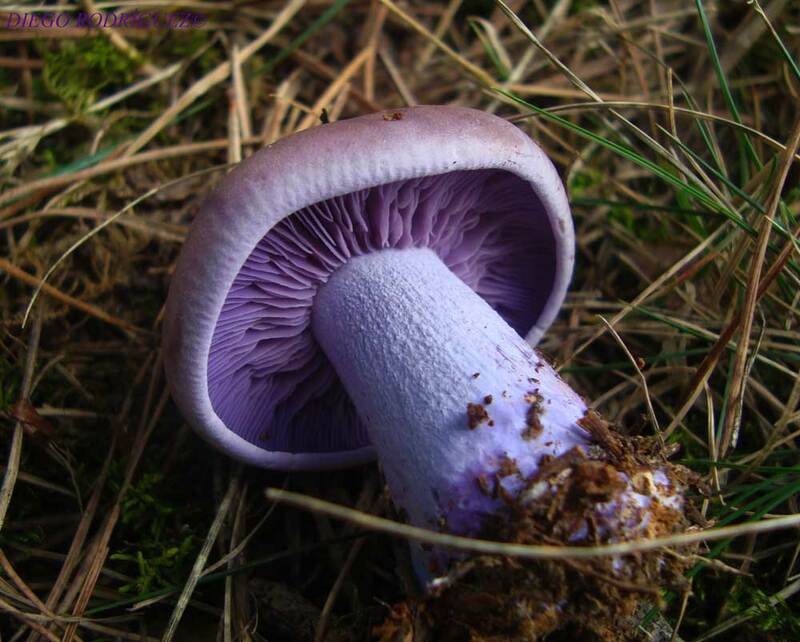 This beautiful blue mushroom is Lactarius indigo. 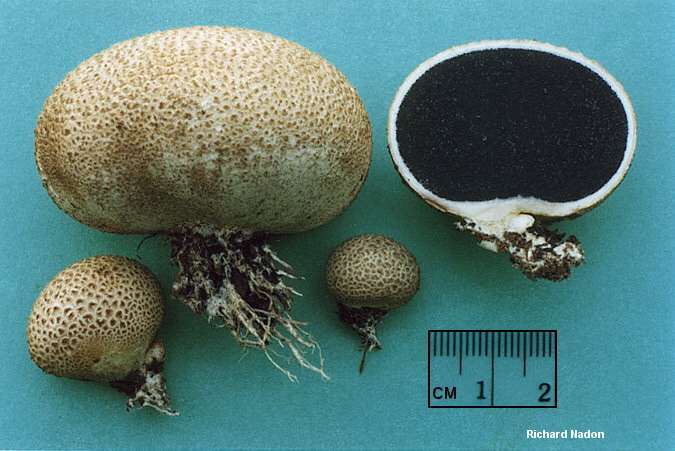 This mushroom (Scleroderma citrinum) looks like an attractive white puffball, until you cut into it, and its center is black and made of poison. All the Pacific Northwest Scleroderma members (awesome genus name, BTW) have surprise poison centers. Lastly, we have Clitocybe nuda. It looks poisonous — it is bright lilac. You never can tell with mushrooms.